One Size. Embroidered classic Steele Rubber Products logo on black hat. Show your pride in quality parts with our logo baseball hat. 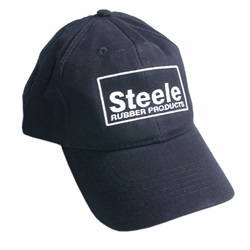 The hat only comes in Black - so you can't really get it too dirty with dirt, grease and oil.